Make sure you always know what time it is with help from Superman! 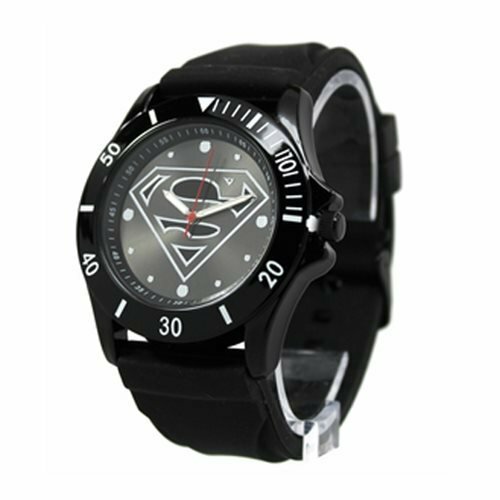 This Superman Black Logo Watch with Black Rubber Strap has a cool black Superman-themed design. With Japanese Quartz movement and a black rubber strap, you'll want to keep checking the time over and over again while this bad boy sits stylishly on your wrist. With the Superman logo large on the face of the watch, there will be no mistaking that you're a fan of the Man of Steel and all his endeavors!